I came back with my family to live in my beloved country ( Palestine). 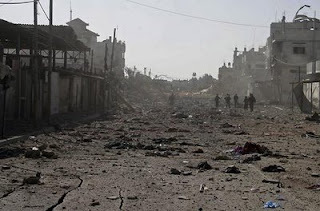 I will start blogging about my experience with the recent vicious cold-blooded unjust war on Gaza that left it shattered and changed the life of its habitants forever. I want to share with you what I have witnessed, seen, lived, felt, done and went thru during this catastrophic genocide. This war left many of my people either heavily injured, or martyred, or suffered a sever loss of a child; or husband, or friend, or relative, or home, or properties, or people they know, or neighbors or even a whole family. This war took us by surprise and started attacking us when no one was expecting it. 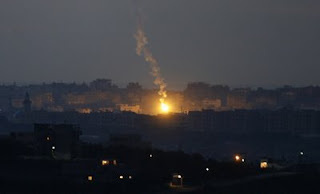 The isreali aircratfs started targeting, shelling and striking many places ( security headquarters mainly) at the same time across the entire Gaza strip all at once which resulted many martyrs at the very first day. people's lives changed forever during and after this war, I am grateful that finally the world admited and started seeing for once that this war was a crime committed on the civilians of Gaza and a crime towards humanity not that this confession will help erase those bad memories, or compensate the people for their different priceless loss or even make a huge difference. I can never abbreviate or condense my experience with this recent war in one or more articles or even words but i saw that its very important to share some unforgettable moments that i went thru and some events i shared with my dear diary. 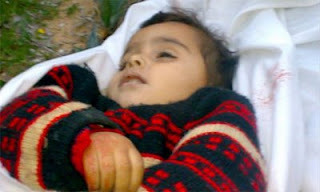 Saturday the 27th of December 2008, I was standing making silly faces to my little baby nephew ( who was only 7 months back then) while he was sitting calmly, happily, and securely in his mother's lap and making him laugh very loud when suddenly we heard a huge explosion and the house started shaking. I could see the glass all over the place and shattered everywhere so I rushed to take my sister and her child in my arms and shield them from any harm. At that moment my journey with misery started, as if I entered a whole brand new world of bloody hell thru a virtual gate, I got lost looking around desperatly to find that gate to throw myself in back again to return to my own world but it was with no use because i couldnt. The hardest thing was faking tranquility, serenity, a smile, sense of security, bravery and courage when you are feeling all the contrary conflicitng inside of you and asking yourself will everything will be okay for real? are you really sure you are safe and everything will be alright? but i had a responsibility towards my family and sister to act fine and give her the strength she needed after falling apart and endlessly crying out of fear for her child's life. The first few days were very hard to cope with when you find yourself suddenly without food, water, electricity, internet, T.V., means of life and technology, phonelines and mobile networks, the ability of going out and most important the lack of security. But then seeing all the tragedies happening around you and what other people are going thru makes you start to get used to this new life as if you didnt have a whole new different life before. All you can think of is the situation of the people living around you. Every day had a new shock, tragedy, misery, and much more, The very first days my neighbors lost their two girls while they were coming back from school, at this time the israeli aircrafts were surprisingly and out of nowhere targeting all security headquarters ( we lived near a huge central one) and while walking near it they got shattered into pieces. What really shocked me is seeing them that morning very happy and braging to their mom about how they woke up early to pray AL FAGR then started revising for the exam. then started telling their mom in their kitchen ( which is very near to my room) how hard they studied and revised, and that they made all house chores and even made her breakfast so she's satisfied with them and pray for them. Their last words in life were " we love you mom, very much. please pray for us" and then they rushed to go to school. That same first day, after the nearby explosions occured, my neighbor called me to rush up to his appartment and that it was very shocking and important ( i shouldnt have listened to him but not knowing what was waiting for me i listened and went up to his appartment). He opened the door with a shock covering his face and took me to the balcony to show me the huge destruction, flames and smoke that covered our area due to the striking of the nearby security headquarter. I can never forget what i saw no matter what, children were shattered into pieces and covered with blood lying there on the floor with no sign of life and no features of innocence, and men cut into parts and lying on the street also with no help and bleeding to death. I wrote something in my diary on the 17th of January 2009, " my dear diary, sorry for buying you and making you suffer by going thru all my emotional rollercoaster with me. I am also sorry to tell you that in any second we might both die, burn or blow up. We have seen alot together me and you, I want to thank you for your endurance, courage and letting me share with you all my fear; pain, and feelings. do you know that you were my first direction after watching or seeing a huge event? I wanted you to know what is going around you".
" 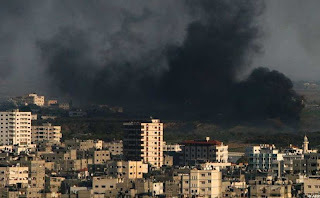 diary, do you remember when I saw the headquarter of the Palestinian Red Crescent Society burning and came rushing to write it down so you can know why the world looks red outside and i had troubles in breathing because of the smoke as the fire reached AL QOUDS hospital? 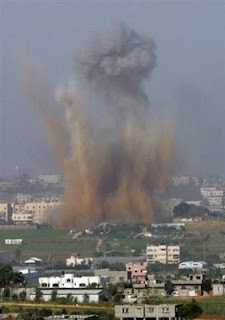 OH or when I saw the headquarter of the palestinian Red Crescent Society's ambulances center blow up? 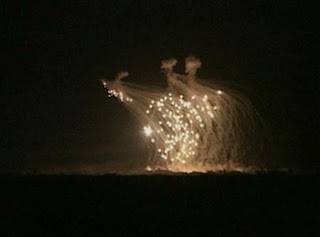 mmmm how about when I was trembling when I saw people's houses nearby burn because of the Phosphorus bombs?" Do you remember that night when I jumped out of my place when i heard people shouting and crying for help and thought that I am imagining or hearing voices in my head? and the next day i asked everyone to make sure i wasnt going mad? But you know the hardest night was when i was sitting in the corner of our corridor ( we lied to ourselves by convincing each other that this place is the safest place in the house when we perfectly know that there isnt such place as safe when the israeli missles are targeting everyplace whether its mosques, or houses of civilians, or even children's rooms brining everything to the ground), it was very dark so i lighted a candle so i can see what I'm writing. then i started telling you about the sleepless nights that i had to live and go thru spending all the night feeling cold and horrified praying god for this war to end very soon, then started praying god to grant safety for my family and little nephew. I couldnt stop praying god to save Gaza and sheild all the people in it so this vicious bloody cycle would just stop causing us misery and tragedy and stop taking from us tens of martyrs daily. Tell you what diary!!!! If I die i wish you survive so someone will find you and tell the world what we and the whole people of Gaza went thru this war and i hope he values you too and take a good care of you and again sorry I know your fed up with this whole situation of war and catastrophy but so am I. 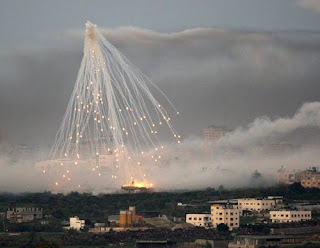 It was so hard and frustrating seeing or hearing about people bleeding to death, or dying, or suffering, or being burnt by the phosphorus bombs ( which are internationally forbidened to use), or asking for help and just cant do anything about it which gives you a feeling that your helpless and cant do anything. It kills you when your just sitting their waiting for your turn to die, or see your house collapse on your head, or hear a bad news of loosing a dear person, it made me want to and think of running out of the door in the middle of the night to help the people who are shouting for help, but i perfectly knew that the Israeli militant forces had orders of killing any mobile thing. I could hear the roars of the tanks very nearby and knew that if i go out i will die. What amazed me is that I never thought of shouting for help so the whole world can see or answer. How can a deaf, blind, dumb and ignorant world answer your calls of help to save your people????????????????????????????????????????????????????????????????? They spent 60+ years watching us die and being slaughtered in colld blood on the hands of zionists and did nothing to help save us, instead they start sending food aids. Do you think in these situations we really need food? 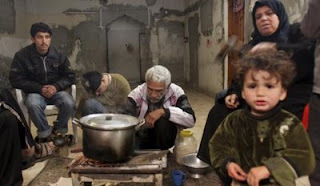 when people are homless and without shelter or safety do you think that they ask for food? Can food ever shield you from heavy weapons? can food ever replace your dead loved ones? can food ever heal your injuries whether its physical or emotional??????????????????? I would rather choose other meaningful ways to help save my people like for example HELP PREVENT THAT WAR IN THE FIRST PLACE. 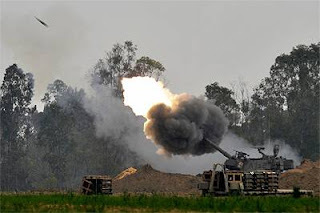 People thought that international organizations of relief and charity are protected and will never be targeted when all kinds of places were severly shelled and targeted whether its the UNRWA or the home of an innocent civilian, so there is just nowhere to run to or seek shelter. 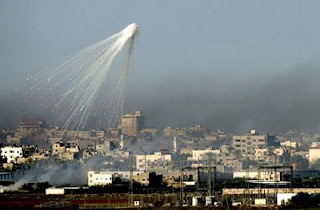 You think the recent vicious war on Gaza ended a couple of months ago? well think again. 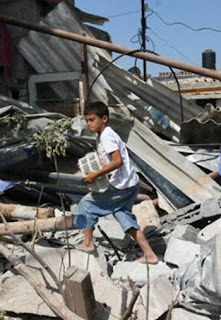 The war remains vividly in the little children's heads as the most horrible paintings of inhumanity and crime, and still has its toll on all god's creations whether its humans, lanscapes or buildings because they all were targets without any mercy or apartheid. 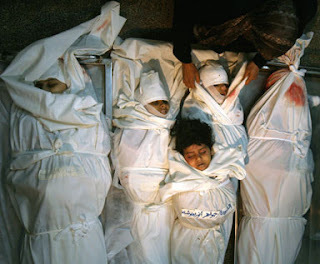 Even if you didnt do anything to help end or stop the recent war on Gaza its not too late, you still can do something. Atleast start by trying to prevent any upcoming war on Gaza, you owe it to every widowed woman, every traumatized and orphaned child, and every grey bearded elder. I perfeclty know that no one can compensate the loss of a husband, a child, a mother, a family member, a sibling, a relative, a friend, or even a whole family but you can atleast help prevent the fact that people have to loose one of the previously mentioned.